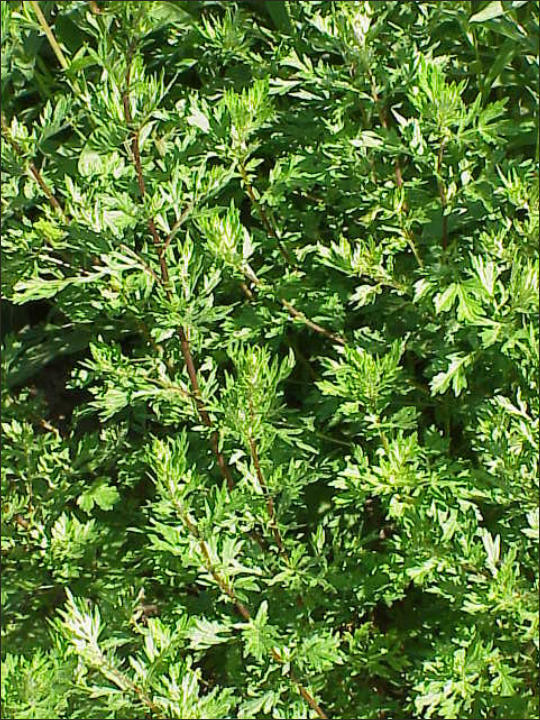 Mugwort or Common Wormwood - scientifically classified as Artemisia vulgaris shown below. In Chinese letter . It is also known as Felon Herb, St. John's Plant, and Wild Wormwood. You can usually find these plants anywhere along the streets of your neighbors. Probably, you have seen it or you knew it. You can cook and eat this plant, use it for skin allergies and wounds, and it purifies your blood and prevents getting cancer diseases. Place the wormwood into boiling water for about 1-2 minutes. Then, get it back to a colander to drain water. Keep and dry it under the shade. In this way, you can preserve it for several number of years. When you use it, soak into the warm water. It will look as fresh as you just harvested it on your backyard. 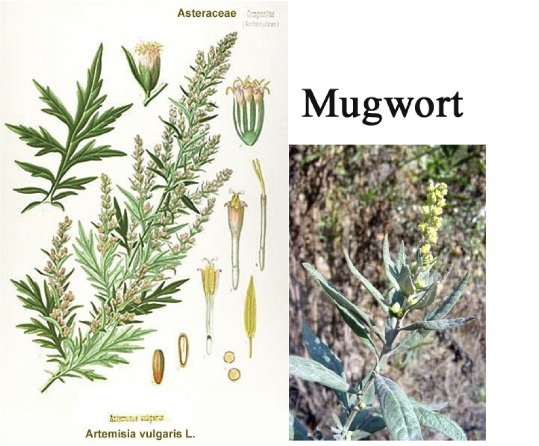 How to eat Mugwort or Common Wormwood? Cook as you cook with other vegetables together. It can be mashed slightly and mixed with dough to make wormwood bread or cake. We usually make wormwood rice cake for our snack foods. Mashed wormwood with grinded sesame and mayonnaise are good like salad on your table as healthy food. Mugwort is rich in chlorophyll, enzyme and other minerals. This is also a proven herb to speed up healing for cancer and hepatitis C, and helps in growing hair. It is also used for stomach troubles, vomiting, hemostatic (stopping blood flow), high blood pressure, and for moxibustion. It's slightly bitter taste makes it a great appetizer. How to apply mugwort for medicinal purpose? Do you remember when you were a kid, and when you got wound, your mother rubbed the wounded part with her saliva? Then, the reddish wound disappeared. The treatment your mother did was medically right. Saliva contains enzyme that can heal skin wounds, allergies and other skin problems. Probably you have some experiences rubbing your skin with your saliva. Enzyme in your saliva does all medicinal works. Mugwort contains rich enzyme in it. Mash leaves of mugwort with your hands and place it to the wound of your skin. It will work like magic! It's also good for swelling, tumor, abscess and pimples. Try it. You will be amazed for its wonderful and hidden power. Most of us believe that earwax is something dirty grimy thing and try to remove it entirely. However, don't you know that the dirt is very important to protect your ears? It plays a vital role in the human ear canal, assisting in cleaning and lubrication, and also provides a degree of protection from bacteria, fungus, and insects. You can clean and remove the excess wax but don't forget to remain some in your ears. That's what you did not know, didn't you? Be healthy and hear well that music aloud!! !